We are located in North-West Florida panhandle. 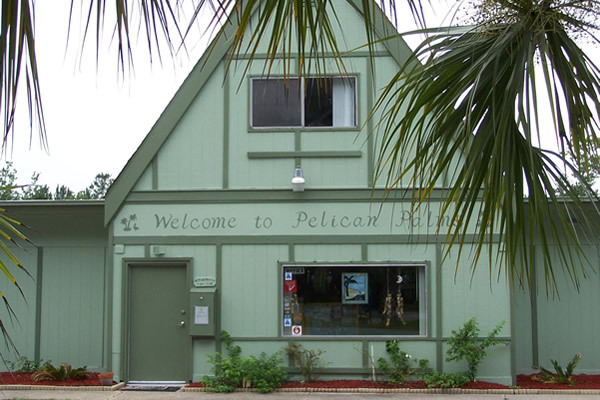 Here at Pelican Palms we offer many amenities to make your stay a pleasant one. We have a clubhouse for socializing, a swimming pool for relaxing, and an on-site convenience store for any item you might have forgotten. Our friendly and attentive staff are always willing to help. Our sites are all full hook-up and easy pull through. 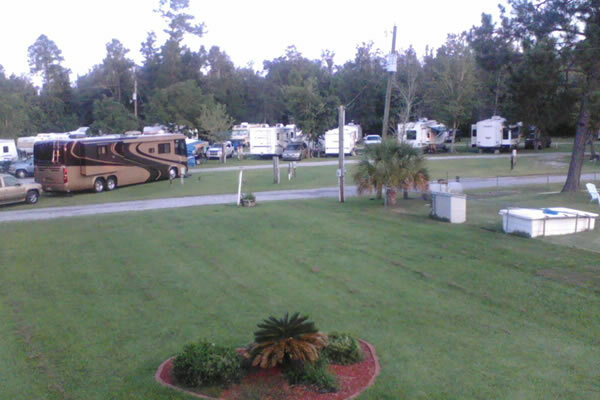 They are level and large enough to accomodate the largest RV including slide-outs. We offer 30 amp or 50 amp sites for your convenience. Pets are welcome with some restrictions. 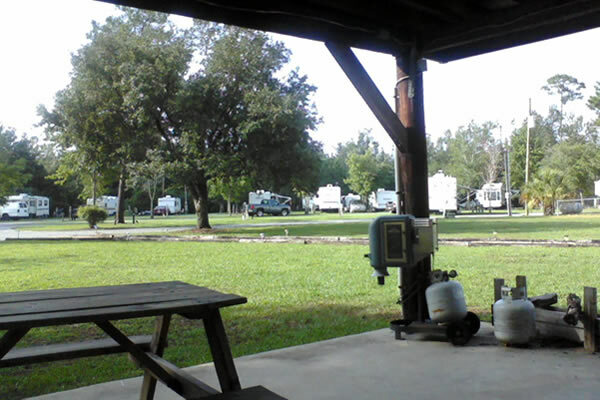 For tent camping, we offer sites with water and electric or primitive sites. We have a convenient lighted wash stand for doing dishes and clean ups. Join us in our large inviting pool. Swim or just relax and get some sun. 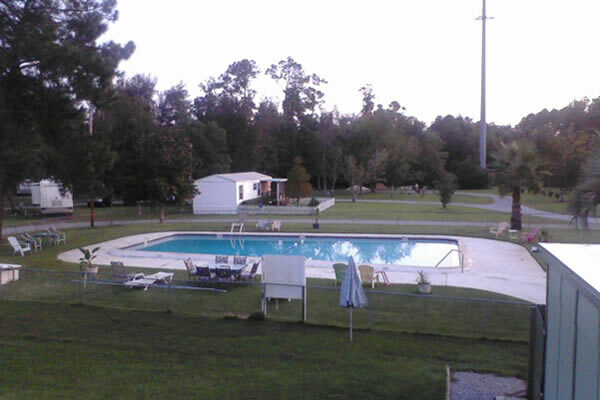 The pool is convenient to all the sites and a welcome beginning or end to a day of driving or sight seeing. Our office building contains a spacious recreation room with pool table, TV, book exchange, and tables to enjoy the games and puzzles that are available. A pleasant place to come and socialize.